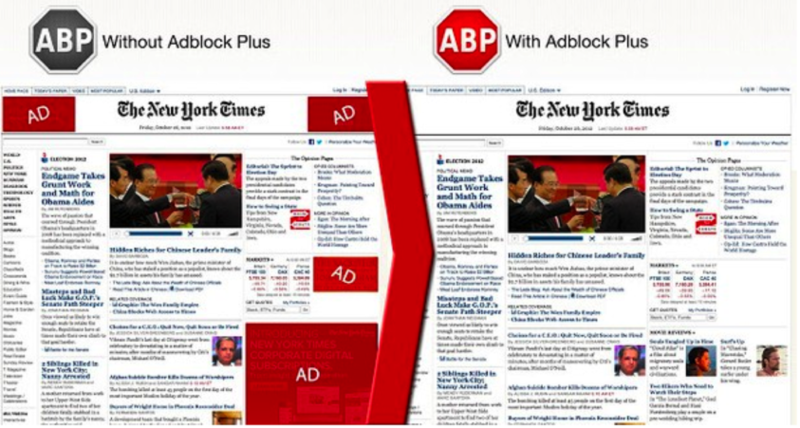 Why has ad blocking been in the news so much? Surely you’ve seen the research, like this one published by eMarketer that found 41% of desktop users and 11% of mobile users use ad blocking software. Just one day after Apple released iOS 9, the $2.99 ad blocking app Peace jumped to the #1 spot in paid apps for iPhone and iPad. (The app has since been pulled by the developer citing remorse over the monetary damage that would be done to publishers who rely on advertisements for income). The company is now offering refunds to anyone who installed the app. As the ad blocking industry grows, it’s a good assumption apps will be developed that allow users to decide what type of ads they’re ok with seeing, and which they’re not. It’ll come down to knowing your customers– which is already an advertising best practice. So while mobile ad blocking is now possible, it’s too early to tell how it will affect the current landscape of advertising and publishing. Is this part of something bigger? It’s even harder than grabbing someone’s attention, though. Many times, there isn’t even the opportunity to see the ads. According to Google, a whopping 56% of display ads are never viewed, because they are below the fold, scrolled out of view, or in a background tab. Luckily, Google has admitted this is not a best practice and will soon be the only major display network to charge only if the ad was viewable. But Seth is right. Advertising is renting an audience with the hope that — at least in display — your ad is relevant to .08% of people. We can do better. Should B2B advertisers be worried? 1. The industry has been putting less emphasis on display for some time. It’s still important, but category spend has been declining for years. 2. All of the recent headlines are centered around the changes to iOS 9, which as a mobile platform is historically biased towards B2C — they will feel the effects greater than B2B. 3. Major ad networks generally strike deals to continue serving ads as normal on desktop, and mobile will likely follow. For example, Adblock Plus has deals with Google, Microsoft, and others. 4. Social media ads run on their own ad network and are generally not affected by ad blocking. 5. With Google changing how they charge for ads, even if it’s blocked, you shouldn’t be paying for it (however, they have not explicitly come out to say this yet). The one area where B2B marketers may have some pressure, is if they do direct display ad buys with niche audiences and sites. Realities are realities and we as marketers need advertising. But the way in which we advertise is evolving. Yahoo CEO Marissa Mayer has come out to say that marketers need to create much better ads that are providing value rather than disruption. And she’s right. The bar is too low. Building your own audience through content marketing, having a great product that customers want to tell others about, and being personal and empathetic, is much more powerful. 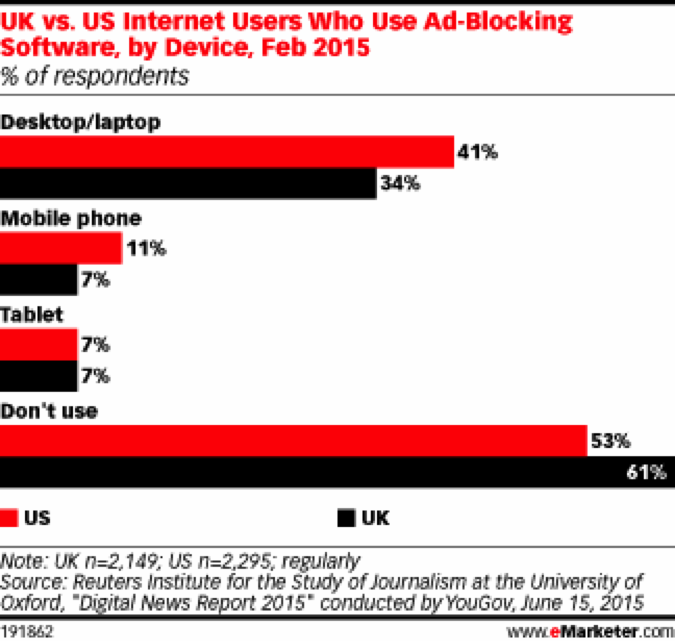 Mobile ad blocking is something to keep an eye on but it’s not the end of the [marketing] world. Digital advertising is constantly evolving and to stay relevant your company has to frequently change its strategies and tactics. This is nothing new. It’s just the latest hurdle that pushes you to be a better marketer.